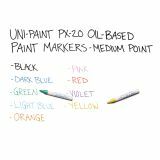 Oil-based markers are ideal for decorating, painting, personalizing almost any surface. 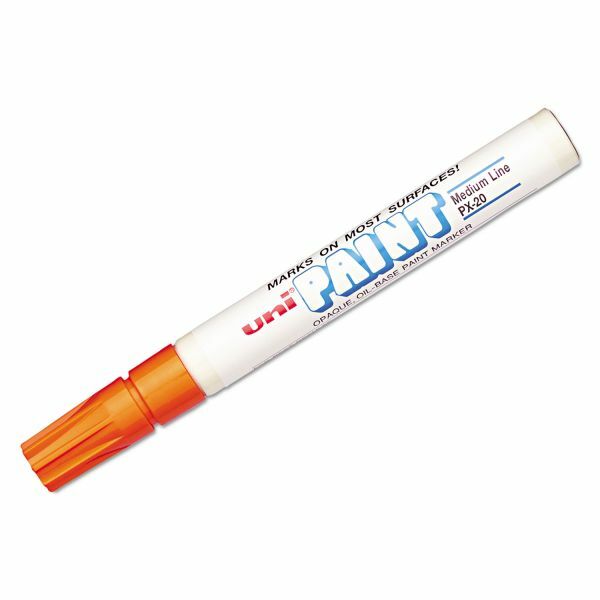 Permanent and quick drying opaque paint. Ink is weatherproof and fadeproof. 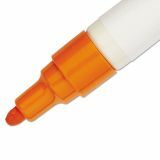 Note: A minimum quantity of 312 must be ordered, and in units of 12 thereafter. Sanford uni-Paint uni-Paint Marker, Medium Point, Orange - Vibrant, oil-based opaque paint markers mark opaque and glossy on light or dark surfaces. Dries opaquely on glass, wood, ceramics, china, leather, cement and practically any other surface. 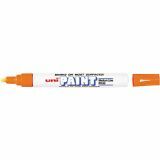 Paint marker ink is fade-resistant, water-resistant and abrasion-resistant. Acid-free.